"Man's mind stretched to a new dimension never goes back to its original position." Few know the simple mechanics of the forgotten Mene-Tekel deck and even fewer know its real secrets. This ebook reveals the deck's true potential as a Self-Contained Card Delivery System, a Pseudo-Copying Machine and a YIN / YANG Premonition Setup that would make Hofzinser proud. 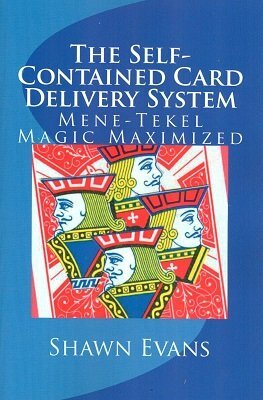 All known variations of the Mene-Tekel are systematically discussed in exacting detail, along with the corresponding card presentations, selections, and handlings per gaffed deck. Also included are DIY chapters on mene-tekel card gaffing. 1st edition 2013, 98 pages.